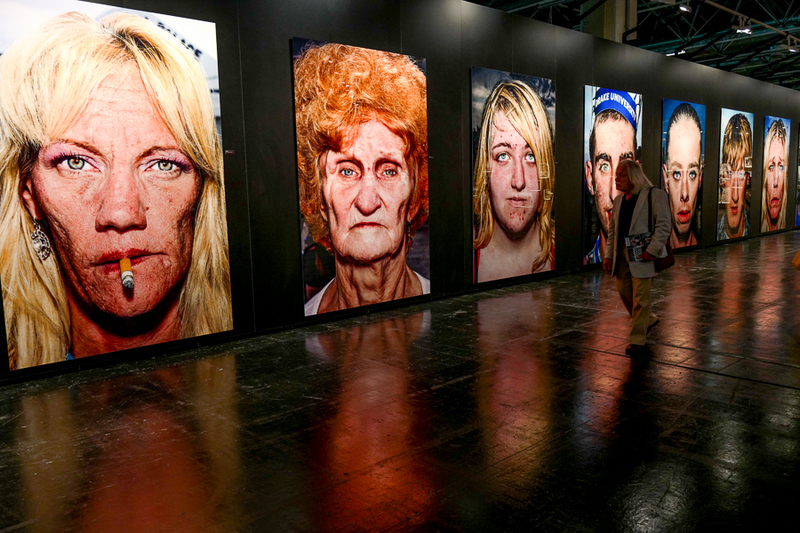 Saat menghadiri Photokina, pameran akbar fotografi di Cologne akhir bulan September 2016 yang lalu, saya sangat beruntung memiliki kesempatan untuk bertemu dan mewawancarai Dr. Andreas Kauffman, Chairman Leica, dan Mr. Stefan Schulz, Direktur bisnis profesional. Terima kasih untuk Mr. Bernard S, direktur Leica Store Indonesia yang memungkinkan interview ini berlangsung. Kiri ke Kanan: Dr. Andreas Kauffman, Enche Tjin, Stefan Schulz. Saya sengaja tidak menerjemahkan interview ini supaya pembaca Infofotografi mendapatkan isi wawancara seakurat mungkin. Beberapa hal menarik yang saya dapatkan dari Leica saya tulis dibawah wawancara ini. Enche Tjin : First of all, I like to congratulate Mr. Stefan Schulz who just get appointed as Global Director Business Unit Professional. Can you tell me a bit about your role in this new position? Stefan Schulz : Maybe I give few steps back. We started in 2007-2008 to develop the S system in order to approach the professional market a little bit stronger than before because we saw this market has some potential and the brand also has a very good fit to professional market from its history. Hmm.. after that, the completion of the portfolio for us by taking over Sinar, in order to have technical camera sector and enable photographer also to have kind of still life and advertising photography in the studio that you can not do with camera that is not flexible. And later on in 2015 now we completed also very fast 35mm autofocus system. Now we have the complete setup more than any other company. Now we thought that it is the right time to set up the organization that approach as well. Beside having the product, we need to serve customer in a more organized way, more dedicated to professionals and their needs. So that’s the part of the role. That’s mean we’re not just care about product and product management but now as well dedicated marketing, sales and service. So we set up a really more customer centric approach. Enche Tjin : I like to ask about the newest camera, Leica Sofort. 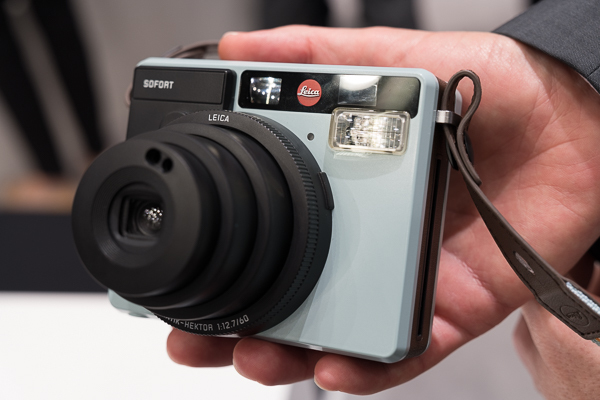 Why Leica suddenly jump into instant camera market? Dr. Andreas Kauffman : You have to understand it. This (point at Leica Sofort) and this (point at smartphone Huawei P9). We went to this partner and we have five years contract to develop things together with them, and we went also into this (point at Leica Sofort) is also this is a sort of let’s say a thank you to the print. Because this is analogue, and for someone who used this mainly… the process that suddenly Opps .. there is a picture. We think this addressed a certain group of consumers who formerly never seen paper picture. On one hand, into the digital social media, etc, and on the other hand, back to the basic you could say, an analogue picture and in that case, it’s unique you can’t changed it. Even formerly a negative you sort of add a few thing, retouch in dark room. This is basically the purest photography possible. You can’t change anything. For us, this is different type of photography, and this we think is also a certain type photography. And we work together. it takes sometime we work together with Fuji. We use the Instax system , because this is the most advanced system for instant photography. So you have to you know, in a way it’s belong a little bit together although it is totally different. Enche Tjin : What is unique about the new SL 50mm f/1.4 lens? Will this lens set a new standard? Will it be the best 50mm? How does it compare with Zeiss Otus series? Will it compete with or give medium format quality? And when it will be available? Stefan Schulz : About the lenses… We have three kinds of new lenses, the 50mm f/1.4. 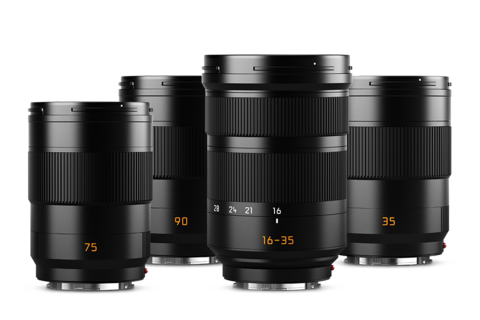 We show Summicron roadmap: 90mm, 75mm, and 35mm and we show a third zoom lens 16-35mm. So, beside the 50mm, the lenses will come second half next year. The 50mm will be available from January. We have already sample in the booth, final optical and mechanical quality. You can test it if you want. The 50mm, why add one more 50mm lens to the market? Because the market has seen already a lot of 50mm lenses. So we always try to make a unique lens. This lens exceeds its limit that’s there in the market. I don’t want to compare it with other lenses. but it is a reference lens. It is not reference only in optical quality but also on how it looks, it’s a very very nice Leica look, and beside that, Mechanically it is very robust, it has very nice autofocus and it sealed against spray water and dust. There is no other lens on that class offering all the capability beside optical performance. It’s not just about optical perfomance. it is also how you operate it. To have manual focus lens is fine, but not for today requirement. Your question about the medium format. We think many people think just about resolution when they talk about medium format. Medium format is more than just resolution. Medium format is a bigger format and there is another look. and resolution is one side, the look is the other side. Medium format give resource to photographers. Photographers are not always so precise on how they work. To have a very high-end 35 system camera with a very good lens, and high resolution sensor, you can make a very nice image. But practically, in daily job of photographer, it easier with medium format. It give more resource and need less precision on how you work. For that we still develop the S system, and having introduced S007 last year was the lastest CMOS technology what it can do with 37.5 MP is nice to see in Leica Gallery hall 1, when you see the giant from Bruce Gilden. It’s really big. Some people asked I need more than 37.5 MP, and sometimes we show them such images and ask how big do you want to print? Karya photojournalist Bruce Gilden dengan mengunakan Leica S yang dipajang di Leica Gallery Hall 1. Ukurannya lebih tinggi dari manusia pada umumnya. Dr. Andreas Kauffman: Because if you need more megapixel, you could just use Nokia phone 41 MP. But look at the picture. It were’nt on the screen. Stefan Schulz: When we launched S2 it was not the highest resolution medium format, but is it the fastest, and it is still the fastest. The 007 is incredible fast medium format camera. This is what people really need. And this one (Leica SL 601) When we decided to go to mirrorless. We knew when to replace the mirror. Photographers always would like to see just after the image, again the scene. in DSLR they have just maybe 80ms then the image is back. We have the same here. With slower frame rate medium format camera. Many people say we don’t need 11 fps. That’s true, but you need 11 fps in order to have instantly the viewfinder image after the shoot. This is for your experience. On the other camera you don’t see what’s going on anymore. Mirrorless camera always have to a very high frame rate otherwise you don’t have viewfinder image instantly available after the shot. Mirrorless need to have very fast frame rate.. it is always about speed, speed speed. Enche Tjin : Hasselblad and Fuji just announced their mirrorless medium format camera. What do you think about the competitor? Will S System goes mirrorless? Stefan Schulz : I think basically that Fuji and Hasselblad.. showing you product in medium format camera. This is very good. Because it show this is the beginning that medium format is not only about resolution. But there is interest in MF. It shows some demand and interest in medium format. This is good for all medium market. For the moment, just like what we already said. You need to a quick look at viewfinder. Always… Current medium format camera has slow frame rate, so after you take picture, you see nothing. S system is showing instant image. As long as there are no technology for medium format available that give instant image like this, we will not change. Dr. Andreas Kauffman : I think.. Usually I don’t talk about competitor, but we wouldn’t see them completely as competitor. When you saw press release regarding Hasselblad mirrorless, and you read spec for the viewfinder. It is small. Personal opinion you can’t do it in medium format with viewfinder with 2 point whatever. To me, bad quality. Stefan Schulz : That is not state of the art. And this is not what we see the experience photographers what they want to see. Just yesterday, I got photographer handed over from Hasselblad from former colleague who said he want to look to Leica, and he was very amazed on Leica S system. Because he need really fast camera and see what’s going on. I think this is minimum level of electronic viewfinder photographer can accept for full frame format. You can’t get lower. Enche Tjin : Is it any possibility of smaller camera and lenses for SL system? For example, rangefinder style SL and smaller lenses with smaller aperture lenses such as f/2.8 lenses ? Stefan Schulz : Somehow.. what’ you’ve already seen, The Sumicron is much smaller and lightweight. The camera needs a very big viewfinder. It is like medium format style viewfinder that need space. 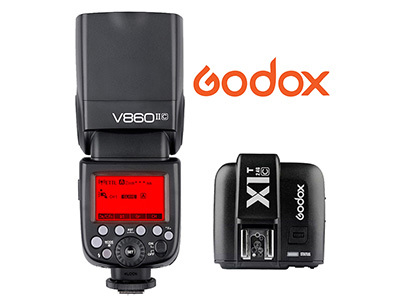 We need the big battery, because photographers don’t want to change batteries after 100-200 shots. And this is very important and you need a grip in order to carry heavy lenses. That means we don’t intend to go smaller with the camera. And it is robust. It is made by pure alumunium. This is (point at Leica Q) a little bit more lightweight. It is still robust but it can’t compare with this. It is sealed against spray water, dust, etc. It also has robust lens mount in order to carry heavy lenses. But we think the camera body itself is not really big. compared with current DSLR. This is a DSLR without mirror. It’s small. The zoom lens is pretty big, but offering the most important range 24-90. Not only 70mm Because with 70mm you never get a nice portrait. with other system you need to change to 70-200mm. It solved a problem, maybe generate another, solving a problem by having the focal range, but bringing the problem with making it a bit more heavy. We think it is a good trade off because not to change the lens when you need the focal range I think is the most important. But we’re custom oriented. If people asks for standard zoom lens that is smaller, maybe we’re going to make that for next year. Why not? But this need a really good analyze. Dr. Andreas Kauffman : We need to study the demand and if we can do it in the certain price range. Then it can be done. You can do everything and charge 25.000. But we probably won’t sell it. Stefan Schulz : Basically we understand to have a smaller standard zoom lens. On the other side, we will need to have a look on that we don’t add thing to the market that already there. Due to the connectivity we offer and also together with companies that offer adaptor like Novoflex, but you can mount more or less all Canon lenses on it. With autofocus, with everything. You can mount Nikon E lenses now. So there are already a lot of lenses that are small. Not Leica optical quality for sure, but we need to study what people want. Because only with small lens is not what people want. They want a small lens with Leica characteristic. We have to look if we can make that. But for the moment we concentrate on professional lineup as you can see. Operation concept is very similar to the S system. So people can change between both system. You can use the S system lens as well on that camera. If you have one system you can continue with the next without buying new lenses. 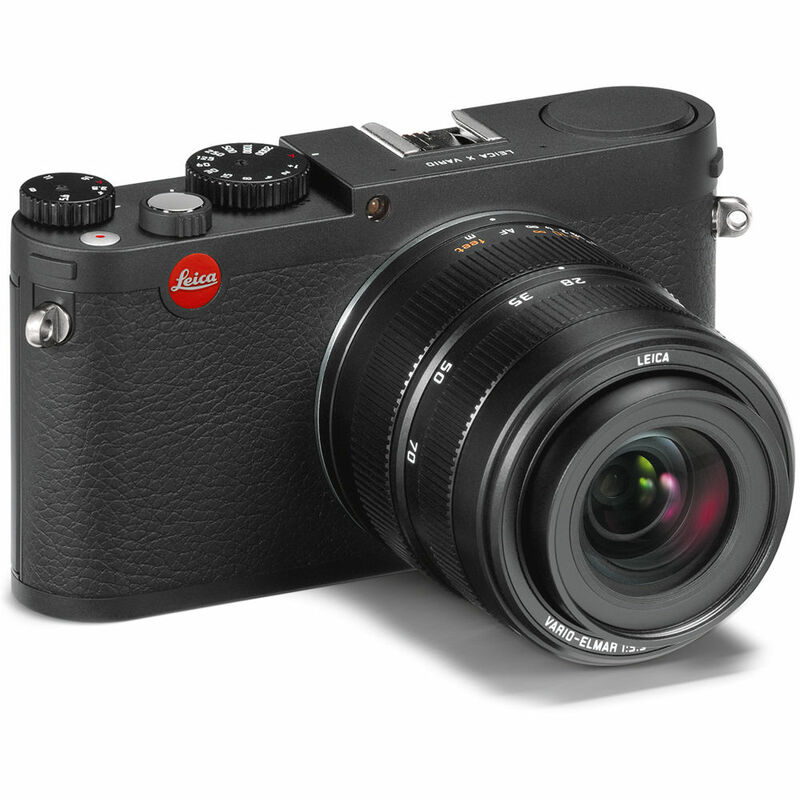 Enche Tjin : How about Leica T ? and How about Leica X and X Vario line? I heard that X Vario is your favorite camera. Dr. Andreas Kauffman : The T system is renamed to TL because SL and TL share the same L-mount. Basically T/TL is the APS-C system. When T system comes into the market, we have the SL already in focus. That’s why the mount is the same, only for the smaller sensor. So I think you will see certain thing with the TL, and the X. We have the X but what we skip is Leica Vario. Unfortunately so because I think it is probably the best zoom lens in APS-C system. When I travel, I am amateur photographer, and when I want travel light i usually take Leica Vario. 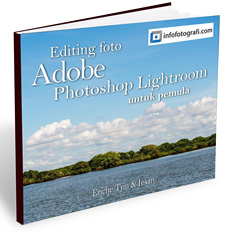 Because it fulfills all the need of amateur photographer. We are just in Scotland for instance. I took X Vario with me, and after that I print out a photo book for my family, beautiful pictures. Maybe our marketing for X Vario could’ve been enhanced. And so, at the end we need to decide. Remember we are small to medium sized enterprise. We have a huge range of product, maybe the biggest in the industry because we still also do analogue camera. And sometimes you have to decide against your own personal wish. Okay, that is a great product, it’s is the end of the lifecycle. we need to move on. Enche Tjin : But how about TL? Will it continue for consumer oriented design like smaller camera, lenses..
Dr. Andreas Kauffman : If you asked especially our lens designer Peter Karbe, sometimes he says Oscar Barnack nowadays will do APS-C system. Quality and size fit perfectly together for certain needs. So yes, APS-C / TL. That’s marketplace we will stay in there, definitely. Stefan Schulz : It also for this system is part of that system. Because, beside photography capability this is (SL) a high end video camera. 4K is Super 35mm window format. For that, we need the TL lenses because then you have very high end lens offering wide angle capability due to the crop, we can have full range of wide angle capabilities. And the lenses are on the same optical level than this (SL). You have no lower image quality. This is different. Most of APS-C’s system in the market is entry level system . This is different with the TL. The TL is not entry level quality, it’s a high end quality. Enche Tjin : Leica has partnered with many companies, including Huawei, Fujifilm, Sonderoptic for Cine lenses, and especially Panasonic. Can you discuss about your partnerships? Dr. Andreas Kauffman : First, it’s already 15 years. You have to understand our situation. We are the last company in the Europe of a certain size in this segment. Which means a lot of supplying industry in Asia. Leica first start incorporting Minolta 1972 already. We need to work with some because we are small scale high end producer, so we need input from more mass producer oriented company. And that’s how we work together with them. You’ll find in 2012 in Asahi camera in Japan. There is interview with lens designer from Panasonic. And in there they said, what they learn from Leica. Panasonic learns a lot in the way how we see optics. On the other hand, we can use out of their supply range a lot of electronic products. I think it is a good partnership, taking the best of both world. 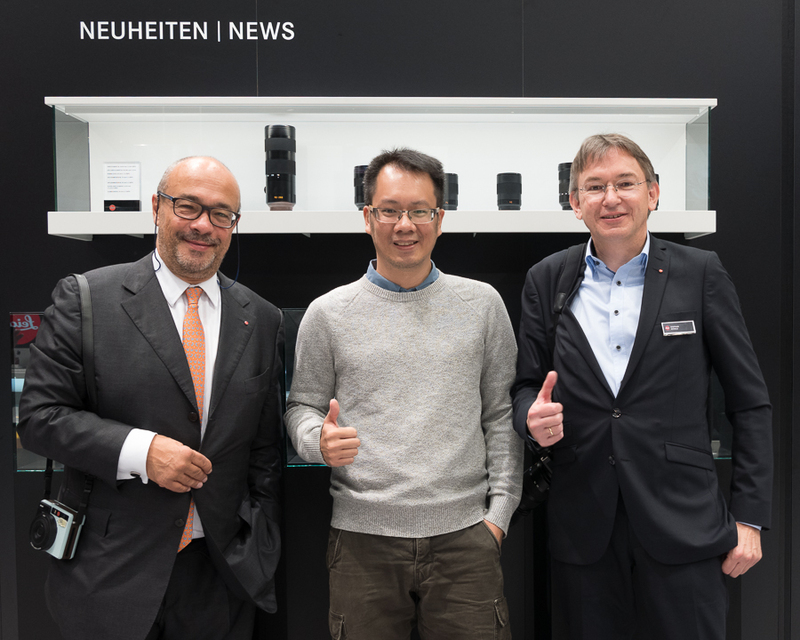 Enche Tjin : How about Panasonic Leica lenses? Dr. Andreas Kauffman : When you buy a Panasonic Leica lens, it’s certified Leica quality. Quite simple. Stefan Schulz : Not just the label, but it is checked by Leica optical department for quality and construction wise. otherwise they are not allowed to do that. Dr. Andreas Kauffman : So you find a lot of lenses in Panasonic lens that you dont see Leica label, because it doesn’t fit on the quality range. Enche Tjin : Is it possible that Leica design a micro four thirds camera ? Dr. Andreas Kauffman : That is political question I would say… Ha ha ha… I will give my personal opinion APS-C is standard. I wont say better but it is the standard. Enche Tjin : What do you think about Asia market, especially Indonesia market? Dr. Andreas Kauffman : Indonesia we just started. Indonesia has 200 million inhabitants. It is a huge market. We will do more but we can only do it step by step. We first started in Asia with our own distribution in 2005 in Japan, and 2008 in Singapore. So we’re new. We will do more there, definitely. But we are small-scale company and we’ll do it step by step. There are followership of Leica users in Indonesia. I have a few of them as my friends in Facebook. I personally see Indonesian market is a very interesting one. And at the moment is driven via our Leica South East Asia Singapore company, which made it easy because Singapore is not that far. Enche Tjin : In the last couple years, Leica Stores are growing around the world, How’s that doing? Dr. Andreas Kauffman : Not only store but gallery. Not in every store. But the gallery is huge part of our marketing because it has story of photography. And I was corrected yesterday, we will already will have 15 Leica Galleries worldwide. Some of them is very big one. For example in LA, the gallery is 2000 square meter. So we go step by step, not by e-commerce. When you try to buy Leica online, it’s pretty tricky, only a few dealers do it, and they usually don’t have enough stuff to sell. So store by store, country by country. And if the store is big enough, it will have gallery element. We just open the gallery in Boston. Enche Tjin : People usually curious of Leica products. But why is so expensive? Dr. Andreas Kauffman : We don’t do it for high price it’s just necessary. Stefan Schulz : The higher you go for quality, for maybe the last 5% of quality, you need to double the price because it so much effort, and some other photo companies are very electronicly driven. The focus on electronic only and tell people that electronic is the most important. But if you relax and you have the best electronic today, what it is worth in one year, it is an outdated electronic from yesterday. So we focus very much on optic and mechanic as well. Because if you lean back two to five years optic and mechanic still has a value. We put a lot of effort into that long lasting value. Electronic is important, but not the only important thing. Enche Tjin: Thank you for the opportunity. Kecepatan foto berturut-turut yang sangat cepat (11 fps) dibutuhkan terutama di kamera mirrorless supaya fotografer bisa langsung melihat gambar di jendela bidik atau monitor LCD. Sistem Leica SL dan lensa-lensanya bukan dirancang untuk sekecil dan seringan mungkin. Untuk kualitas kamera dan lensa yang baik dibutuhkan ruang dan ukuran dan bobot yang cukup besar. Tapi kalau diinginkan, Leica akan membuatkan lensa zoom standar yang tidak begitu besar. Mengapa kamera Leica SL termasuk besar padahal mirrorless? Karena perlu ruang untuk viewfinder berkualitas 4.4 juta titik, perlu grip yang besar dan kokoh, dan perlu baterai yang besar supaya fotografer tidak perlu sering mengganti baterai. Leica belum tertarik membuat kamera medium format mirrorless karena kecepatannya dirasa masih kurang, oleh sebab itu, masih butuh jendela bidik supaya fotografer dapat melihat subjek foto setiap saat. Leica X Vario kurang sukses dipasaran, tapi lensa zoomnya termasuk yang terbaik. Leica TL akan dikembangkan. Lensa TL, terutama yang sangat lebar cocok untuk dipasang di Leica SL untuk merekam video 4K dalam format Super 35mm. Untuk mendapatkan kualitas produk yang tinggi, harga ikut menyesuaikan. Supaya lebih bagus 5% saja, harga produk bisa naik dua kali lipat. Elektronik penting, tapi Leica akan memfokuskan pada kualitas optik (lensa) dan mekanik untuk bisa dinikmati dalam jangka waktu lama, sedangkan jika hanya fokus di elektronik, dalam satu tahun sudah terasa ketinggalan zaman. Leica Store Indonesia kini aktif mengadakan workshop dan seminar fotografi. Salah satunya adalah mendatangkan fotojurnalis veteran Tim Page asal Australia. Seminar gratis akan diadakan tanggal 6 Oktober pukul 19.00-21.00 Pullman Hotel, Thamrin, Jakarta. Workshop Master Class intensif tiga hari (hunting foto dan bahas foto dengan Tim Page) 7 – 9 Oktober 2016. Untuk mendaftar, silahkan hubungi leica.store.ps@gmail.com. Peserta terbatas. Maaf koh mau tanya.antara zeiss batis 85mm f1.8 dan sony GM 85mm f1.4 fokusnya lebih cepat mana untuk foto anak2 yg banyak gerak/bermain? Lensa Batis lebih cepat autofokusnya.